The InduMouse has an ergonomic design and is a convincing product thanks to its pleasant sense of touch and the very high degree of protection that it provides. As a recognised sector solution, it is suitable for use in almost any hygiene-sensitive area. It is possible to completely clean and disinfect the unit. It has a long serviceable life as a result of its high-quality workmanship – after all it is “Made in Germany”. The InduMouse is manufactured in line with the highest quality standards. 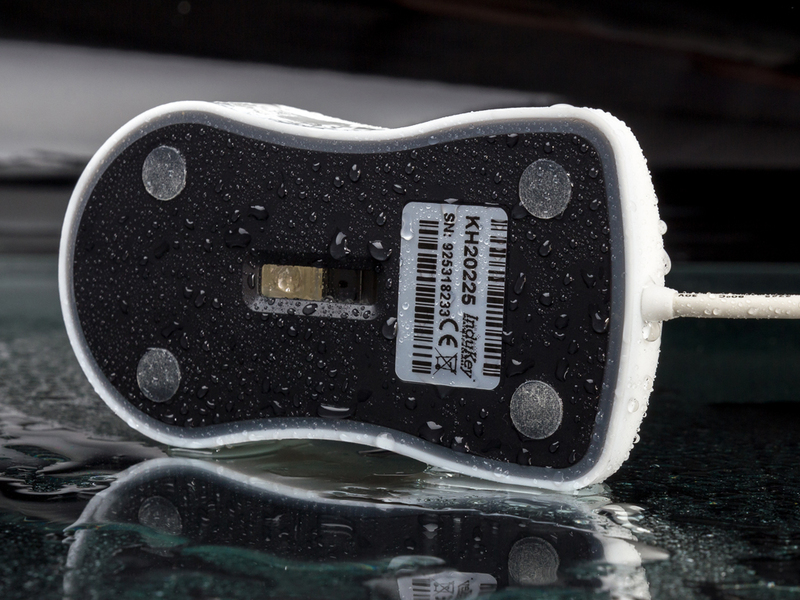 This means that this mouse is both dustproof and completely waterproof. Cleaning and disinfection of the silicone mouse is easy by washing or immersing the product in liquids. Thus your hygiene management is optimally supported by our InduMouse. Customisation is also possible, even if you only require a small number of items. This concerns the printing of your logo in your colours or the application of certain lettering or characters. Simply contact us with your inquiry and we will be happy to advise you. We offer an additional guarantee of four years on this product. A robust construction and the use of high-quality materials ensure longevity. Lies comfortably in the hand and can be operated comfortably. Suitable for right- and left-handed users. An antimicrobial additive in the silicone prevents germ growth & adhesion on the surface of the InduMouse.